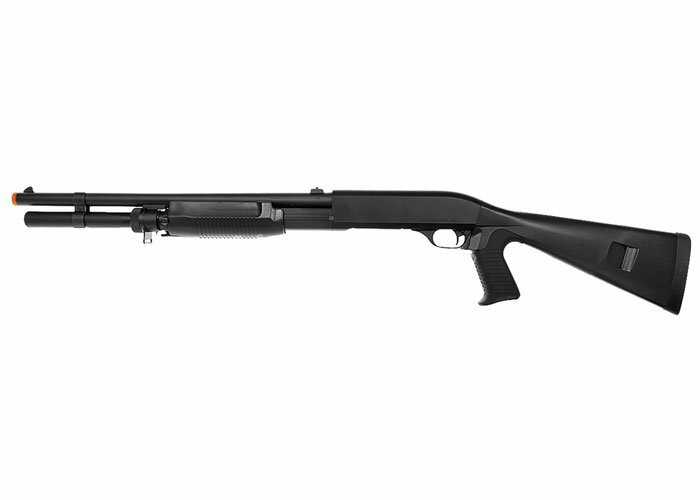 The Tokyo Marui Super 90 Full Size Pump Action Airsoft Shotgun is one of the most tactical looking shotguns on the airsoft market, the TM super 90 offers the same reliable spring action of the SPAS coupled with super sleek finish. The Super 90 is used by many law enforcement agencies world-wide. Same design as the SPAS and uses one shell at a time that holds 30 BBs. Shooting 3 BB's at a time, the Super 90 makes an effective room-clearing weapon for CQB scenarios.